Book clubs are my new best friends. I’m an ordinary, forty-something mother of two with a part-time teaching job, overflowing laundry baskets in her bedroom, and an oven encrusted with burnt stuff. It is really, really cool that I wrote a novel that got published, but I’m not exactly Barbara Kingsolver or Ann Patchett (who, I imagine, still get behind on the laundry sometimes). Never mind: the book clubs I visit treat me like a queen. When I show up at the door, a bunch of excited, smiling faces turn my way, and over the course of a couple of hours they ask dozens of interesting questions, make all kinds of insightful comments about my book, and often feed me extravagantly to boot. These are the people I want on my marketing team! And you know what? After a friendly visit, that’s just what they become: evangelists for me and my book, excited to spread the word to their friends and eager to read whatever I’ll write next. 1. Bring a presentation. Think about the topics your novel covers and what kind of informative presentation you could tie into it. 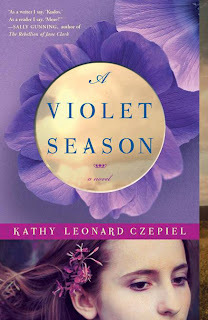 My novel is set, in part, on a turn-of-the-century violet farm in the Hudson River Valley, so I have a digital slide show on the history of the violet industry there. People are fascinated by this unknown history and by the vintage photographs. I do a formal version of this in public readings, but at book clubs I just fire up my laptop and hold it up, and people throw out questions while I talk. It’s a great ice-breaker. readers who’ve met you will become your most devoted fans, and you’ll want to remind them on occasion that you’re still out there and let them be the first to hear about your next book! I always make sure there are a couple of names on the list already so no one feels shy about signing up. 3. I invite book clubs to start their meeting without me. Some book clubs spend a lot of time talking about their lives and their families before they get to the book, and you don’t need to be there. They should also consider whether they’d like to talk about the book a little bit before you arrive. That allows anyone who didn’t like it to say so comfortably and for the group to start thinking about what they’d like to ask you. 4. This should go without saying, but I’ll say it anyway: mind your manners. Be on time. Dress professionally. Accept the offer of a drink or snack or dessert (though I’m going to start skipping the red wine—at my last book club I was worried all evening that I might spill on my hostess’s white armchair!). Receive questions with grace, even if you’ve heard them many times before, and if the occasional book club member behaves rudely, sit calmly on the high road. Send a thank-you e-mail or note to the host afterward. 5. Some authors require book club members to purchase copies of the book in order to schedule a visit. I understand this policy, but I would recommend against it. Requiring purchase sets up a potentially guarded relationship. Many book club members will buy the book anyway and ask you to sign it. I don’t begrudge readers a few library books or shared books in their midst. If they really love my work, they’ll be more likely to pass on my name and watch for my next book than if they felt coerced to purchase. You’re building long-term relationships here, not trying to get your hand in everyone’s pocket. 6. Decide ahead of time how far you’re willing to drive. For me, an hour one way is the outside limit. If I’m invited by a group farther away, I’ll suggest a visit by Skype. If you drive, don’t forget to keep track of your mileage. This is tax-deductible travel! 7. Finally, a few words about Skype. It makes for a more comfortable conversation than a speaker phone (tempting, because you could sit in your jammies and don’t have to clean up the background), but make sure your host has a speaker phone available as backup. You might want to set a few additional ground rules. I ask book clubs to gather together some topics and questions before calling me, and to plan on a conversation of 30 to 45 minutes. This limits the uncomfortable chit-chatting that can happen around you when you are merely a head on a screen. I also ask that the club not meet in a public place, such as a restaurant or café, where outside distractions can make an electronic conversation difficult. Finally, ask the club to call you, rather than the other way around. That way, you’ll know they’re ready to talk. When I listen to book clubs talk about my novel, I am often reminded of something Pulitzer prizewinning author Paul Harding said last year at Grub Street’s Muse and the Marketplace conference. He reminded the audience of writers, “Everything is at stake. This is not just fooling around; it’s other people’s lives.” In other words, what might have felt like a plot machination to you may well touch upon the lived experience of a reader in a profound way. Visiting book clubs is fun, and it can be rewarding both personally and professionally. But hearing that what you’ve written matters to someone is the very best reward of a book club conversation. Kathy Leonard Czepiel is the author of A Violet Season (Simon & Schuster), named one of the best books of 2012 by Kirkus Reviews. She is the recipient of a 2012 creative writing fellowship from the National Endowment for the Arts, and her short fiction has appeared in Cimarron Review, Indiana Review, CALYX, Confrontation, Brain Child, and elsewhere. 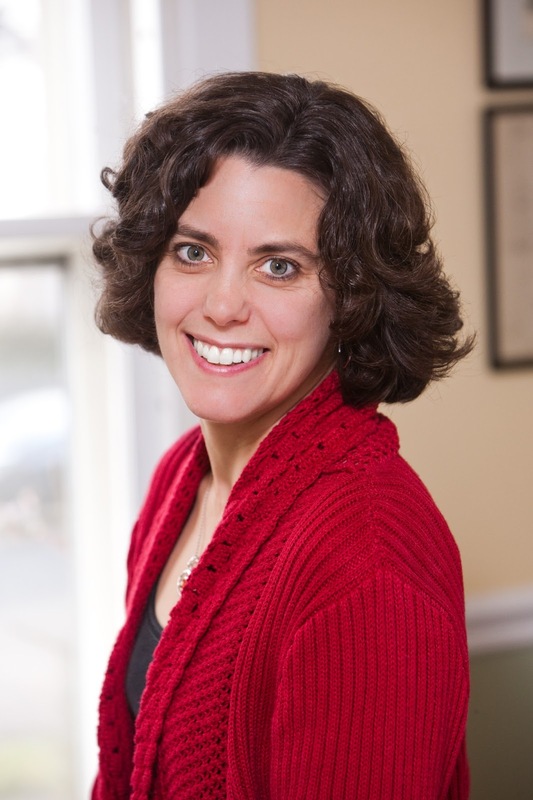 Czepiel teaches writing at Quinnipiac University in Connecticut, where she lives with her husband and two daughters. Very useful list which I will be drawing upon for book launch two! Thanks for this. Thank you so much for this blog! I'm attending my first book club meeting for my memoir, Letters To Young Chong, this Friday. And boy, am I getting nervous! Thanks for the pep talk!